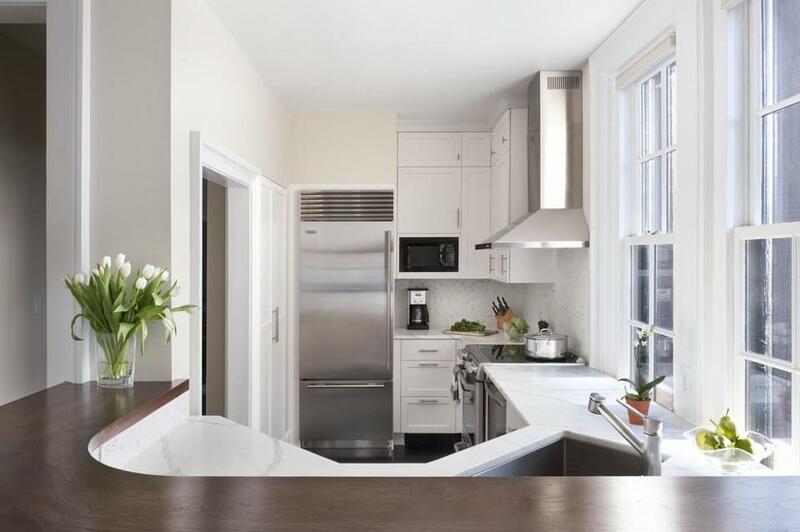 Home Organization - Northampton MA Realtors | Maple and Main Realty Agents are seeing a trend towards buyers (generally speaking) seeking homes that aren't overwhelmingly spacious. 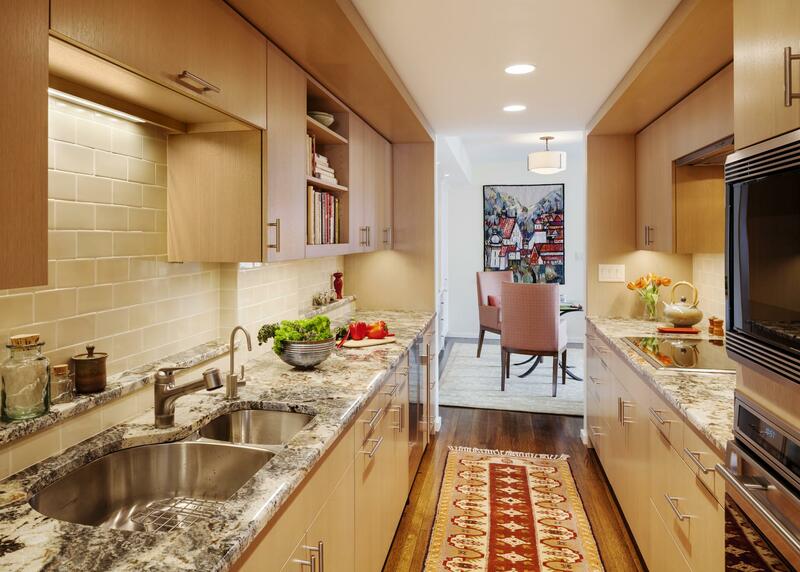 With more modest-sized homes comes smaller rooms, including the kitchen. This time of year I feel grateful for my mudroom. I'm grateful for the cubbies we had built, so that each of our family members has somewhere to store their winter layers, their boots, their backpacks, etc. I'm grateful for the rubber floors which we chose, which are colorful and easy to clean. I'm grateful for the coat closet in the mudroom, where we can hide away our warmer weather outerwear. I'm grateful to the resource of Pinterest, where I found great mudroom design ideas. And, perhaps, I am mostly grateful for the door between the mudroom and the rest of our living space - so that we might keep that clutter from spilling over into our living room. As a realtor in the Northampton area, I am reminded this time of year, to point out to my buyer clients the benefits of purchasing a home which has an entryway or mudroom. A home with an entryway -- even if it is just a small transitional area (as an alternative to a full mudroom) -- allows the homeowner a place to leave off the baggage that winter necessitates. It is so nice to be free from the bulky clothes, the mud, snow, dirt, etc before entering one's home. Looks as if the Daily Hampshire Gazette shares my opinion. Here is a recent article about the benefits of the mudroom from our local newspaper. JERREY ROBERTS The mud room at the home of Suna Turgay and Ben Woods in Florence. A great mudroom has its own heat source, gets natural light, is easy to clean and is well organized. With those four fundamentals it’s hard to go wrong and easy to find ways to let creativity flourish. Mike Buehler and Anne Vaillant of Southampton did theirs as part of a more extensive renovation in 2014. The mudroom is not only a highly functional space but it also is the way visitors are greeted and introduced to their household. It bespeaks order and charm in its functionality. A mudroom performs several tangible and psychological functions. It serves as a barrier between the hearth and the rest of the world. It’s a place where you transition from your outside self to your inside self. You get to leave the dirt on your shoes behind and unburden yourself of some of the paraphernalia, like keys, backpacks, umbrellas, coats and hats that aren’t necessarily of much use in the house. You can even leave your cellphone behind in a charging station of you want to be beyond its reach when you get home. It will be revved up and ready to go in the morning. A mudroom can also be a place where pet supplies, like a brush, feeding and water bowls, and food can be kept, especially for animals that spend time both indoors and out. Suna Turgay compares the feeling of having a mudroom to watching Mr. Rogers on television. “He comes in and takes off his coat and then puts on his sweater, takes his shoes off and puts his slippers on,” she said. Having a mudroom “definitely mimics that.” She keeps some guest slippers for visitors. Turgay, who lives in a 2,000-square-foot house in Florence with her husband, Ben Wood, and their two children, a 13-year-old daughter and an 8-year-old son, said their mudroom is “almost like an airlock. You come in, whether it’s raining, or really hot, or snowing, or muddy, you close the door behind you and you dump all your stuff.” She values the organization it lends to her life. It also makes it a lot easier to keep the rest of the house clean. Another big advantage, because there is the outside door and the inside door, is “that all that precious heat in the home isn’t escaping” every time you go outside. The savings in heat, in fact, makes the initial investment that much more worthwhile, she said. She has a small heater in the mudroom, which is on a zone unto itself. It doubles as a drying station for wet mittens. Heating is crucial if you really want your mudroom to be fully functional in all four seasons. Without it, said Turgay, it becomes a place to store things. You would end up bringing your shoes into the house to dry out and to be reasonably warm when you go to put them on. Hers has a heating panel mounted on a wall. It is connected to the house’s central heating system but has a knob that goes from one to six. “We keep it around one,” said Turgay. It’s like “an old-fashioned radiator,” only smaller, sleeker and more modern looking. In the summer the mudroom is a way station between house and garden. “I am a grower of food, which makes the mudroom that much more important,” she said. Besides growing most of what the family eats on a fenced-in third of an acre, she also keeps chickens and bees. The grit that collects on her shoes and outer clothes gets trapped in the mudroom. Tile or stone is the ideal flooring surface for a mudroom because it is easily cleaned. Dirt tends to collect quickly in a mudroom and that’s a good thing, because that is all dirt that is not making it into the house. An easily swept and occasionally mopped floor makes it relatively simple to expel that dirt at a rate that keeps up with the traffic. Then comes the quality of the wood and other materials one chooses. 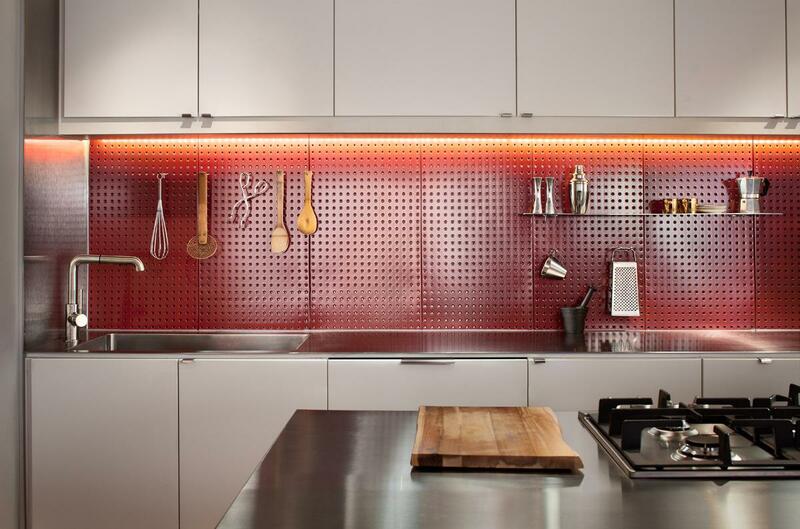 “Even the tiles have a huge range in price,” Bradbury said. 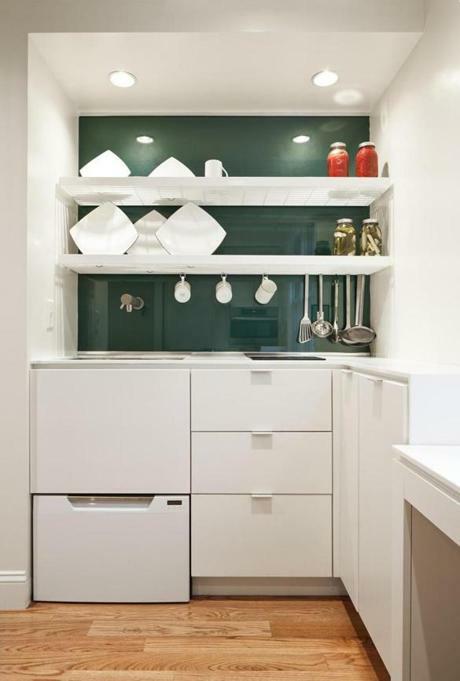 The company has its own cabinetry shop and the workers are skilled in helping customers design the storage scheme. “The most important thing is that it is well organized,” he said. A heat source is crucial for it to be a four-season room but the cost of heating need not be exorbitant, according to Bradbury. There are a number of options, including radiant heat from the floor. That means taking angles of the sun into account when situating the room. It might also mean adding a window to a wall in the room giving onto the mudroom. 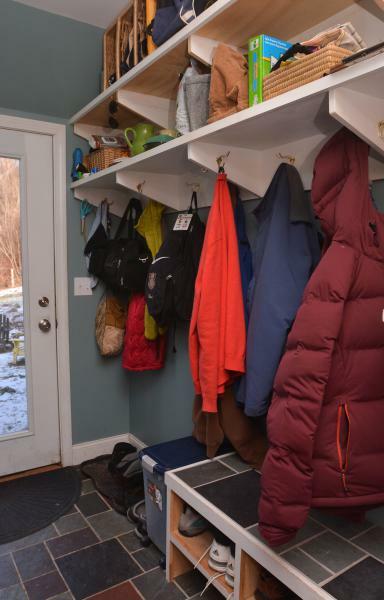 Monet Singh of Florence, who describes her household as “a very active family” with three children, is in the planning stages of a mudroom she hopes to build in the spring.